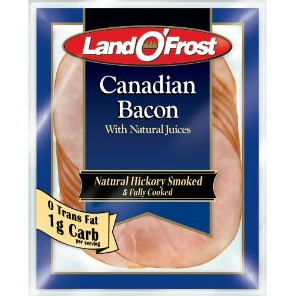 Home > Printable Coupons > Land O’ Frost Coupon | Canadian Bacon Only 98¢ at Walmart! Land O’ Frost Coupon | Canadian Bacon Only 98¢ at Walmart! Grab this new Land O’ Frost coupon! This one is a higher value than we normally see on this brand and you can use it on any of their products. Pick up Land O’ Frost Canadian bacon for just 98¢ at Walmart after the coupon above. Or pair it with one of these sales for a deal on lunchmeat!